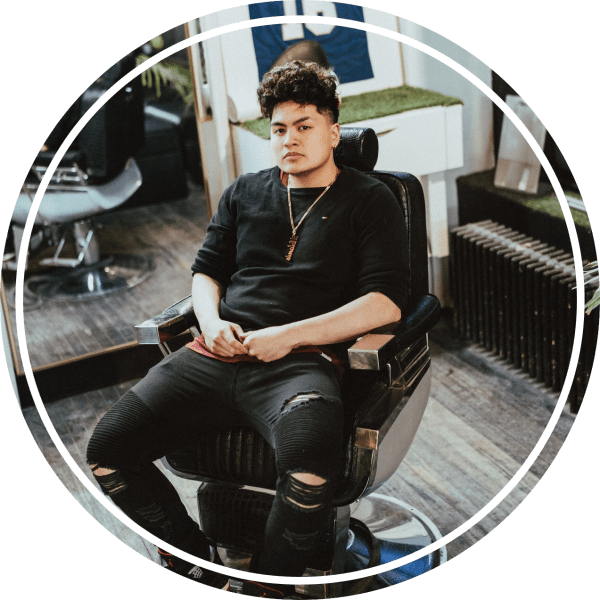 If you’re thinking of changing your look, you’ll soon see that finding modern hairstyles for men isn’t as easy as it seems. In addition to scouring the internet for different hairstyles, you also face the challenge of finding the best haircut for you. Thankfully, there are more than enough appealing hairstyles to choose from for all personalities. Enjoy the diversity of our handpicked hairstyles and find the right one for you below! 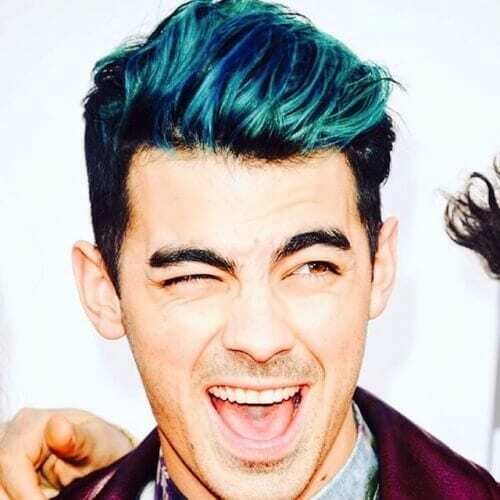 Spiking hair with the help of gel or a similar product has been an everlasting trend for the past few decades. Even though the grunge spiked hair from the 90s isn’t in fashion anymore, you can carelessly spike your hair to the side for a fresh look. 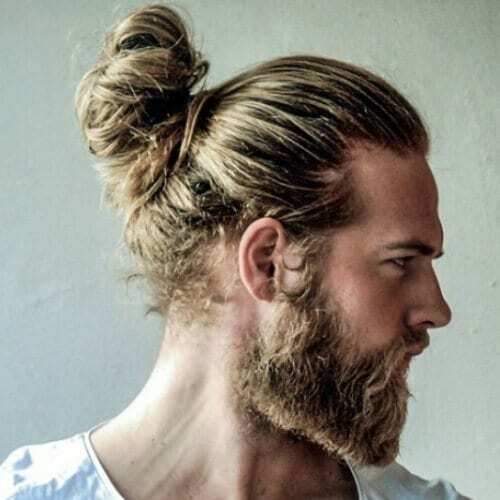 The man bun is a somewhat controversial hairstyle, with an equal amount of positive and negative feedback. However, those who can rock one without a care in the world look awesome with it. This is an excellent option for men with long hair and a strong attitude. 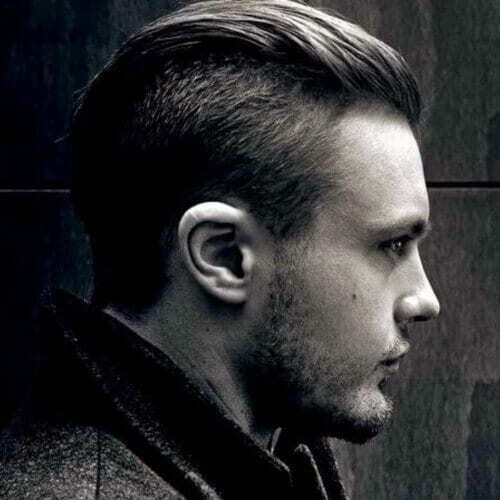 Among modern hairstyles for men, we can easily state that undercuts are some of the most popular. 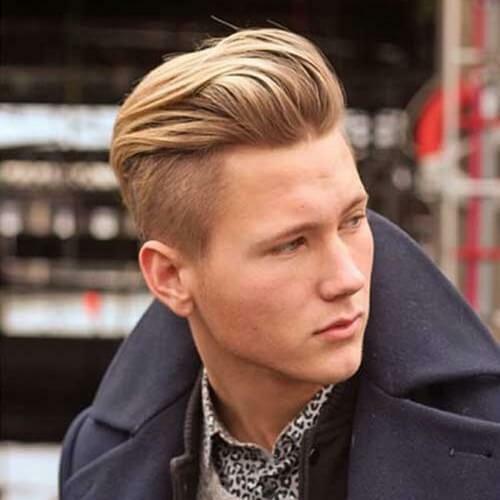 In most cases, they result in clean-cut hairstyles that can either be dapper or edgy, depending on the styling. If you prefer sporting facial hair, you should know that the longer the beard, the more maintenance you’ll have to put in. 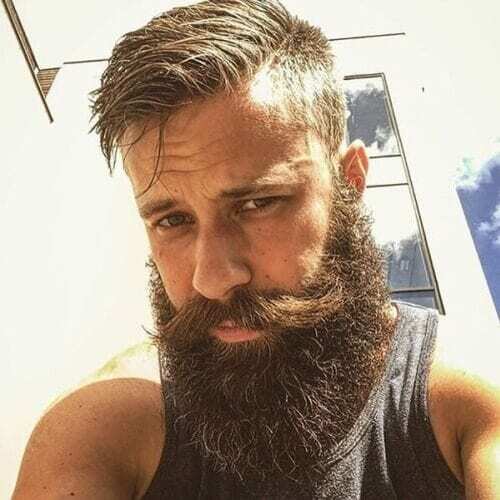 However, you can get inspired by this short hair long beard combo to get a better idea of how you can trim yours. 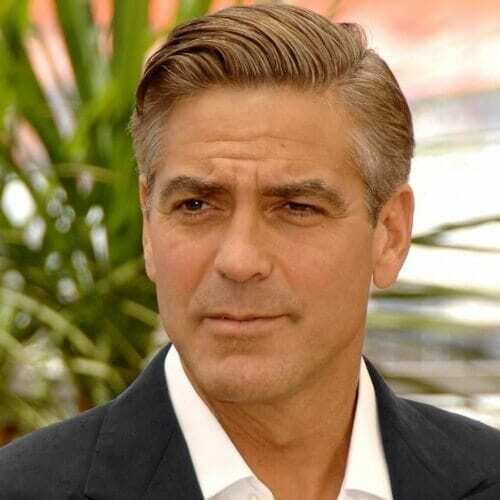 George Clooney is not only among the most respected actors in the film industry, but he is also a major style icon. Even at his age, the esteemed celebrity always maintains a young yet manly gentleman appearance, partly owing to his sleek haircuts. There’s something truly unique about a modern classic twist. For instance, actor Jamie Dornan shows how you can have a classy haircut that still has a new look to it. It’s a fine-looking blend appropriate for all situations. One of the benefits of having curly hair as a man is that you can play around with styling. Above you’ll find an example of short, curly hair that’s very well-shaped, especially thanks to the shaved line on the side. Moreover, wavy hair is also generous for styling options. If you allow your hair to grow a little longer, you will see that styling requires minimum effort. Just toss it to the side and optionally add some product to keep it in place. 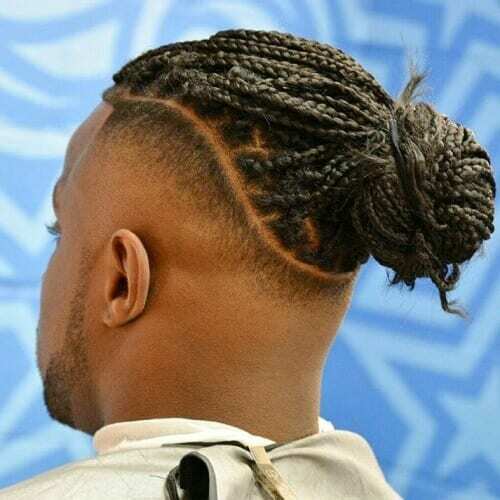 African American men have a series of fetching hairstyles available for them, tailored to the texture of their hair. 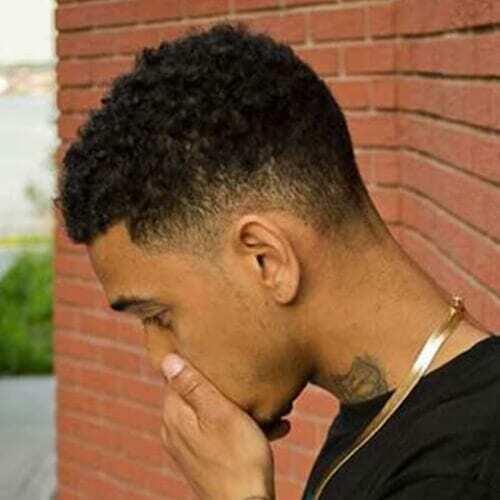 For example, this drop fade haircut complements afro hair while providing a handsome hairstyle. While the pompadour dates back to the 18th century, the hairstyle remains a clear sign of refinement to this very day. With this hairstyle, you can obtain an aristocratic or smooth look, depending on how you wear it. If you’re looking for a hairstyle that oozes with manliness and allure, you should look into slicked-back options. It’s an appealing alternative that is easy to set up every morning with the proper quality hair care product. For the African American community, box braids are one of the hottest hairstyles for men and women alike. 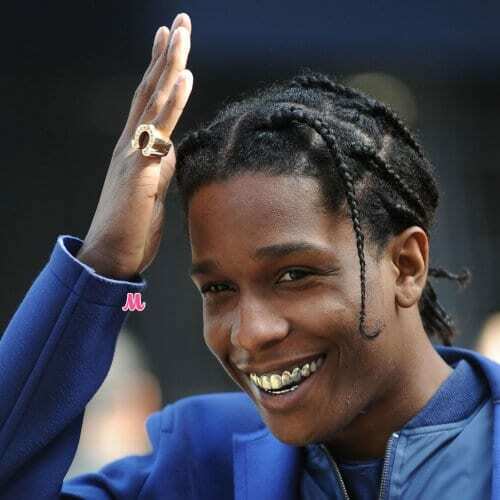 These fashionable braids can be sported mid-length for the ultimate charm, similar to how artist ASAP Rocky wears them. 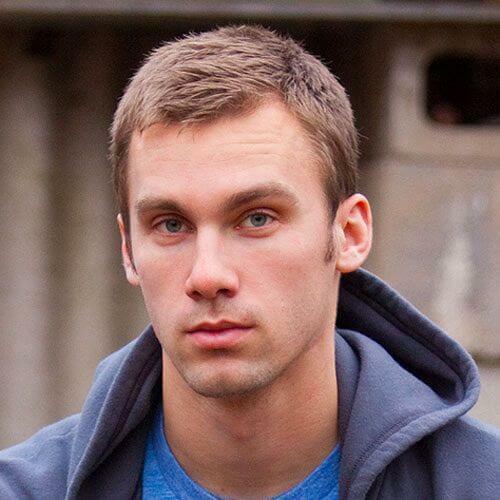 For an athletic approach to your hairstyle, you can always opt for a crew cut. If you have thick hair, you don’t even need to worry about styling it. Optionally, add some gel for a wet look. 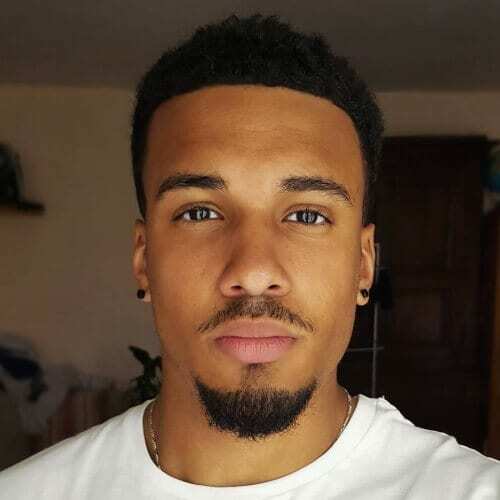 This is one of your everyday hairstyles that looks great with or without facial hair. If you typically shave your facial hair, you don’t have to worry about a bit of stubble if you skip a day. It will look fine with this haircut. 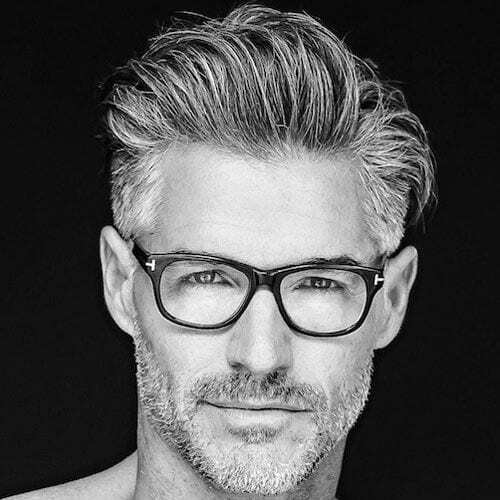 Even though a great deal of men prefer sporting short locks, medium or long hair can look amazing on a man with an outgoing personality. For instance, you can consider a shaggy haircut like this to bring out your rebellious side. 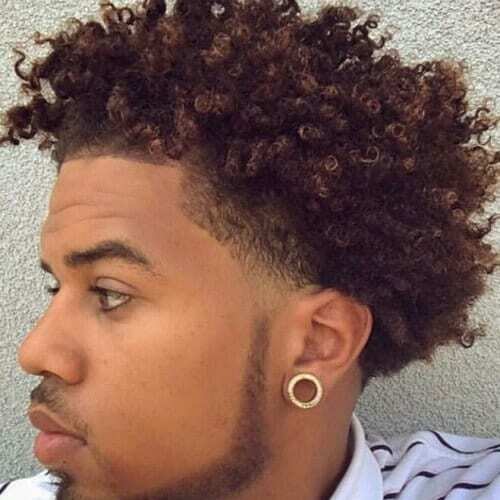 This is yet another one of the modern hairstyles for men that have a classic foundation. 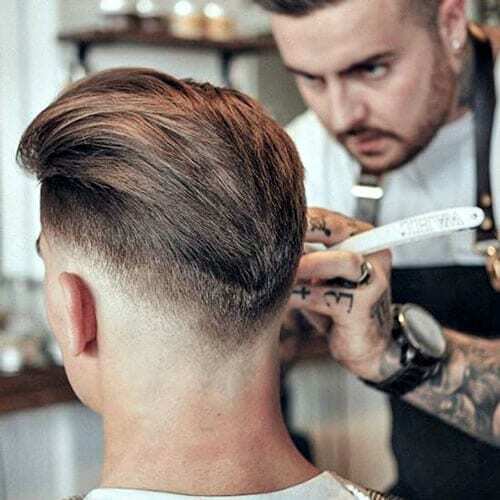 Taper haircuts are good-looking and practical, as you can play around with different lengths from top to bottom. For most, bowl cuts are a not-so-pleasant souvenir from the 90s. Nevertheless, the modern approach for this hairstyle is choppy, edgy and rather eye-catching. It’s an appealing way to rock medium-length hair. Flat tops are also among the modern hairstyles for men that have been around for ages. As you have already noticed, there are plenty of haircuts that are still as stylish as ever. We warmly recommend it for thick or coarse textured hair. No matter your age, you can still look suave and stately with the proper haircut. 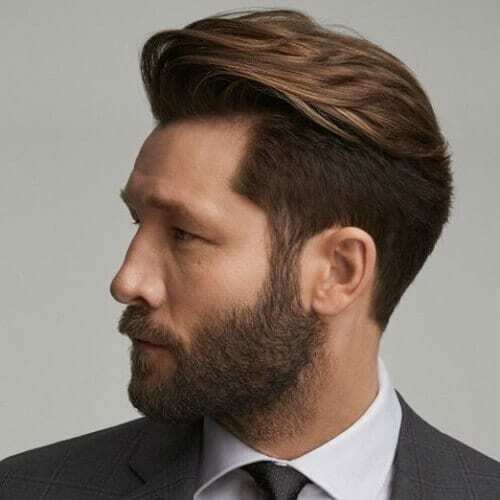 This semi-slicked back look, complete with a well-trimmed beard, is an amazing way to make the most of your age and highlight your strong points. 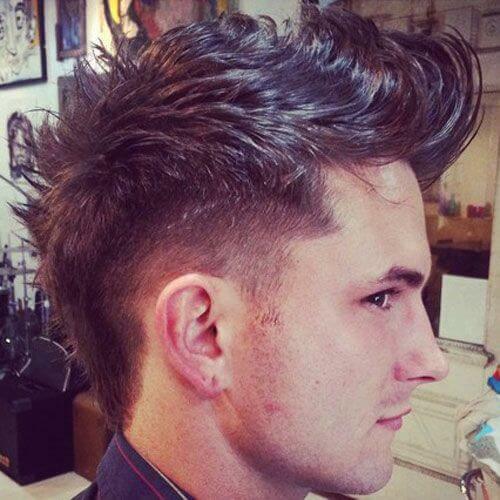 For numerous individuals, faux hawks are a safe way to experiment with a daring hairstyle. The best part is that you don’t have to completely shave the sides of your head if you’re not comfortable with it. 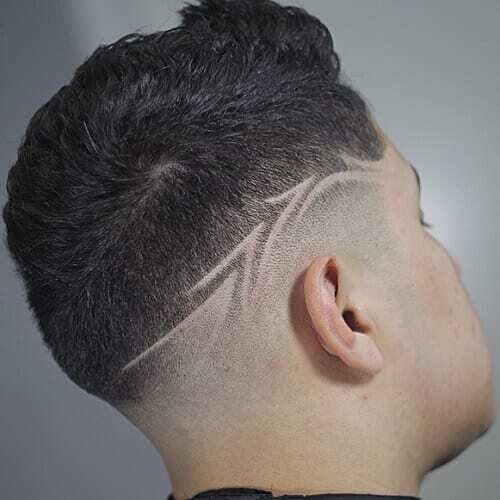 Try a fade like in the photo above. The name of this hairstyle is pretty self-explanatory. An Ivy League haircut provides a clean, smart look appropriate for school or professional situations. It’s one of the most appreciated modern hairstyles for men in college. If you opted for rocking long braids, you can outline them in a series of ways. One way is to get a steep undercut, which also adds some edge to the look. You can tie your braids in a knot or let them down as you please. A neatly brushed up hairstyle will always be the sign of a polished man. This princely haircut is also a favorite among those who opt for elegance as their statement. The results are attractive indeed. You don’t have to limit your haircut to one length all around. 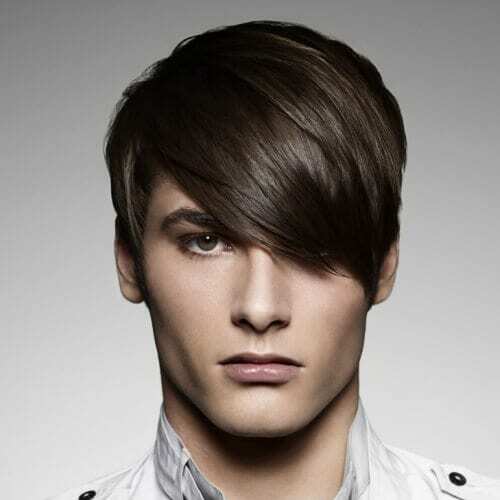 Asymmetrical haircuts are captivating and they look exceptionally well on men with oval or diamond-shaped faces. Choose the side you want longer hair on and get it cut accordingly. 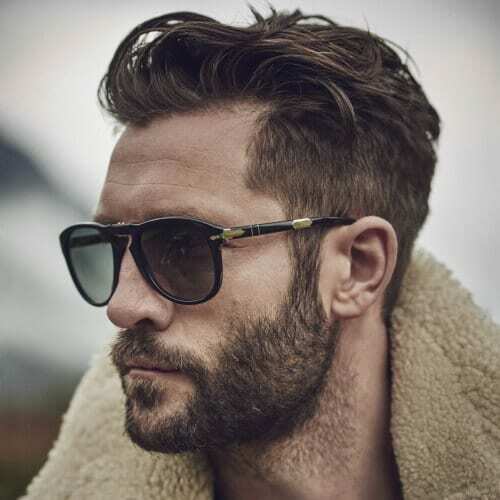 Another rugged yet charming look is highlighted by a shoulder-length haircut. It’s ideal for boys and young men that want to show off some effortless style. Nonetheless, it looks just as well on full grown men with attitude and confidence. If you’re planning on getting a haircut at a respected barber shop, you benefit from astounding techniques. You have the liberty of getting your hair expertly shaped as you please. For example, this V-shaped haircut is brilliant and imposing. 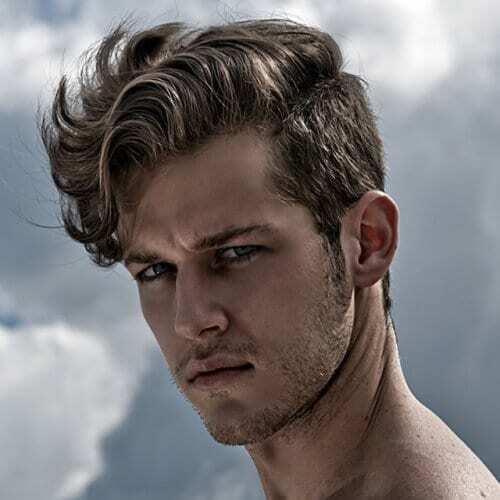 One of the top mixes among modern hairstyles for men involves a longer top and shorter sides. 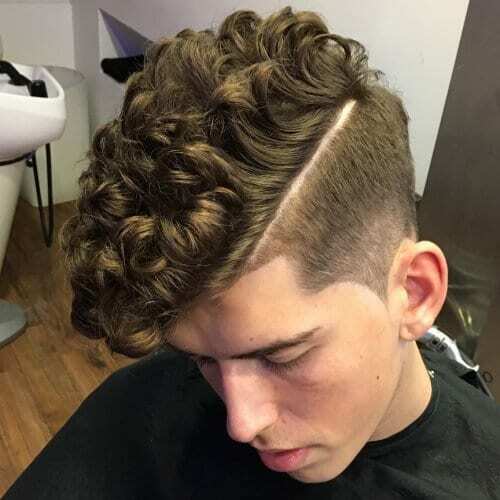 It is easily one of trendiest hairstyles that won’t be going out of fashion soon, owing to the flawless way it contours a man’s face and head shape. 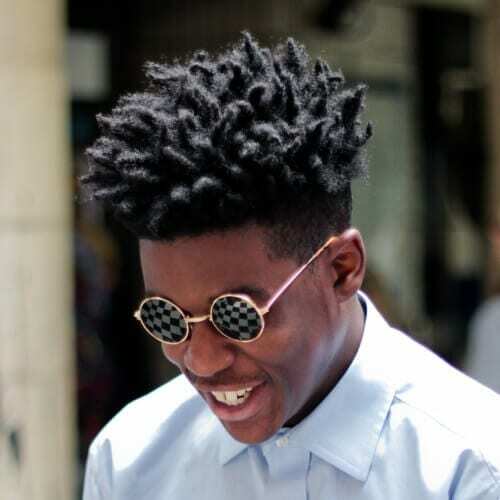 No matter if you rock them short or long, dreadlocks are a cool way to wear your hair. 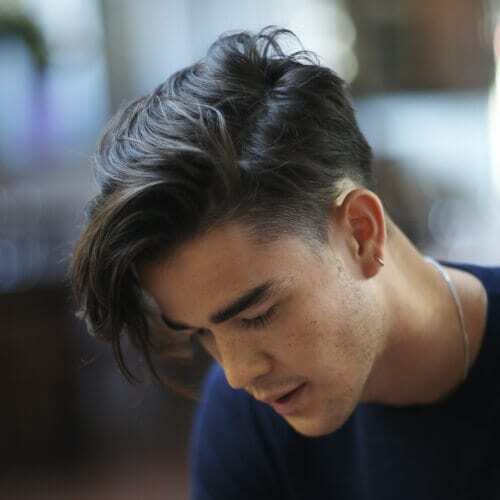 These shorter locks, for instance, are easily combined with a large undercut and a subtly shaved design on the side. 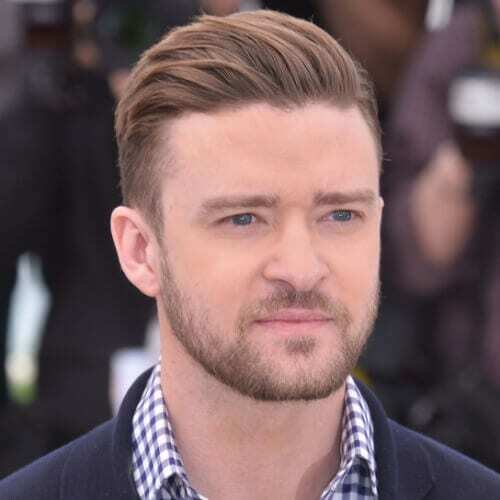 When it comes to comb over haircuts, Justin Timberlake is easily one of the best examples of their impact. It’s quite a simple haircut, but it provides remarkable style for the person wearing it. If you need a haircut that will work for a corporate environment, these are the type for modern hairstyles for men you should look into. Admirable, sharp and respectable, you’ll enjoy sporting one like this. On the other hand, feel free to go wild with the creative part of your haircut. Indeed, a playful shaved design might be more well-fit for younger men, but don’t hesitate to have fun with yours if you truly want to. What makes this haircut and beard combo so extraordinary actually lies in its simplicity. 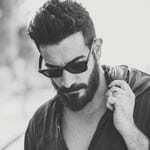 Like a few other modern hairstyles for men that we presented on this list, it is extremely work-friendly, all while leaving a good impression. Long gone are the days when bangs were only associated with distressed teenagers. Nowadays, you can find this memorable haircut everywhere, from your workplace to the runways. It’s a wonderful choice for men with fine hair. If you want to explore your roots, take things a step farther and embrace them wholeheartedly. In African culture, there are an abundance of stunning hairstyles you can choose from, suitable for all sorts of lengths. Layers are a fantastic way to keep your styling time to a minimum. When done by a skillful hairstylist, your hair will naturally fall into the perfect shape. No additional products required. 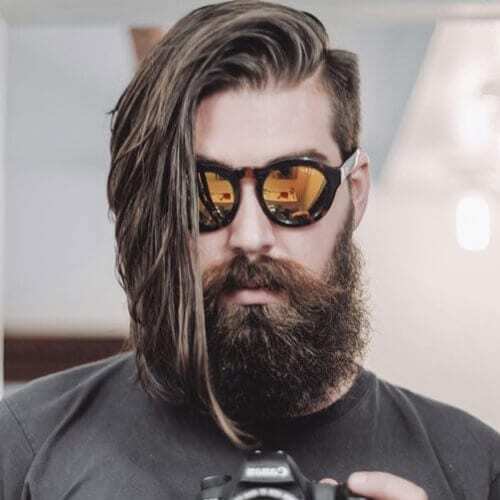 Have a long, full beard and want the perfect hairstyle to go with it? 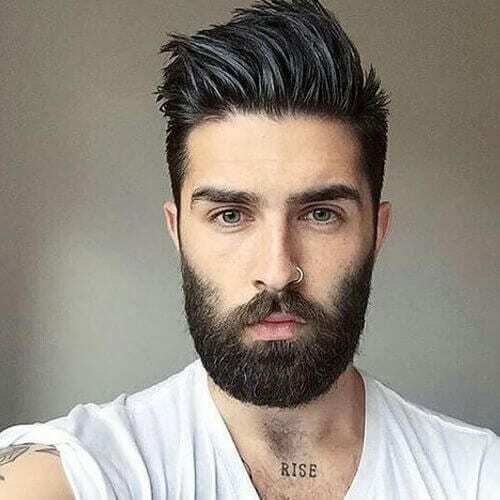 Try an asymmetrical one, with the length of one side reaching the end of your beard. 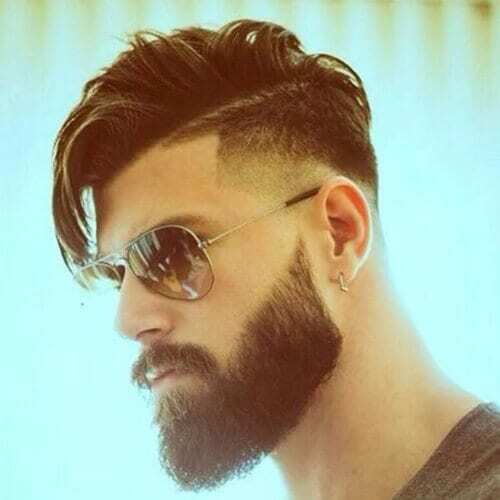 This also works the other way around – if you have a haircut like this and you’re considering facial hair. 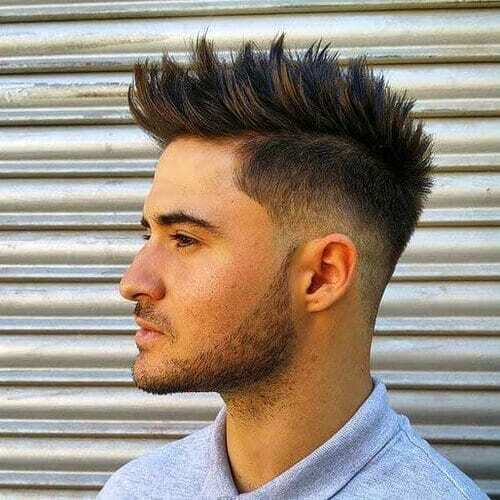 As you know by now, undercuts really are an exceptional way to take modern hairstyles for men to a whole new level. 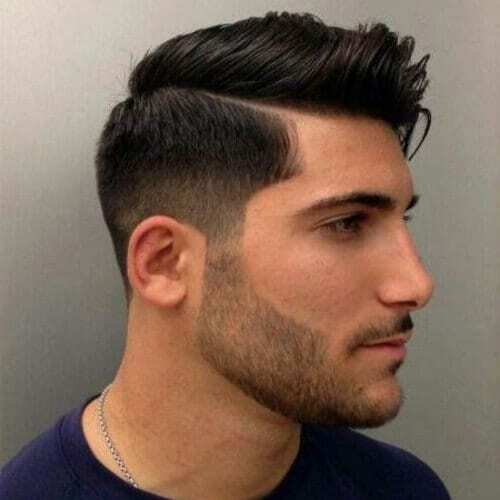 To get a harmonious outcome, consider a taper or fade haircut like in the example shown above. 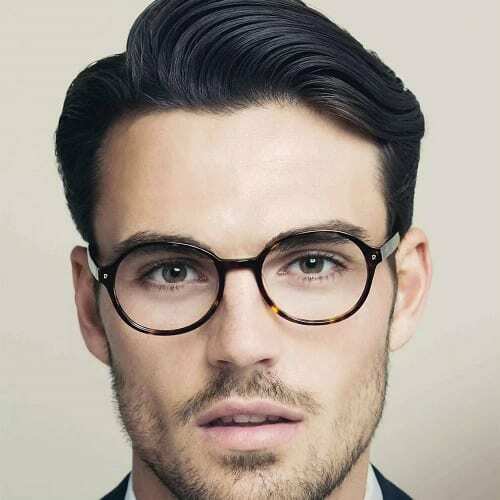 Thinking about a slicked back hairstyle, but looking to make it stand out? A faded undercut is just what you need. It will contour the top part perfectly, while keeping the all around look as edgy as ever. This haircut might be simple, but it doesn’t make it any less impressive. 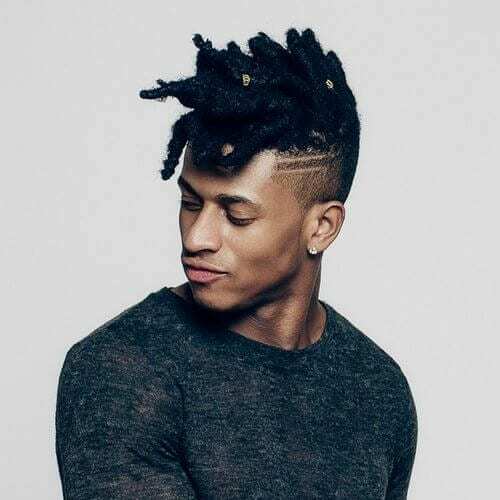 A major advantage among other modern hairstyles for men is that you can rock it with very thick or afro-textured hair without any stress. Why not make your hairstyle astonishing with the help of a bright color? Of course, this look is destined for those with equally colorful personalities. Electric blue might be a good way for you to start, but you can also browse other tones like red, orange, green or purple. There’s nothing quite like a quiff hairstyle to show your tasteful choices in grooming. The key is to have your hair casually brushed up and a bit back, away from your forehead. 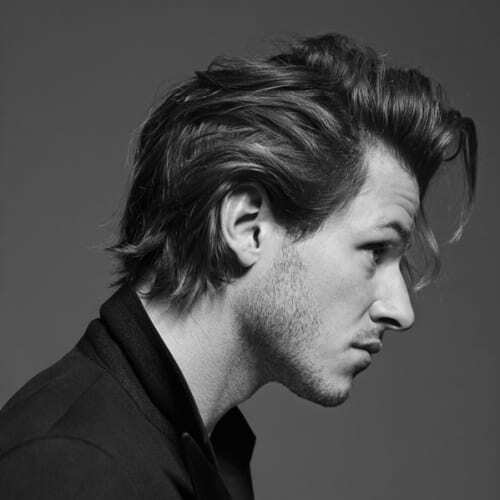 For a rugged look, don’t shun away from messy modern hairstyles for men. They work for all textures and won’t take up a lot of your free time for styling. Just use some gel and casually rake your fingers through your hair and you’re good to go. Now this version of a mohawk is among those that will be accepted in various situations. It’s not exaggerated, and the well-groomed beard also makes it a rich hairstyle indeed. 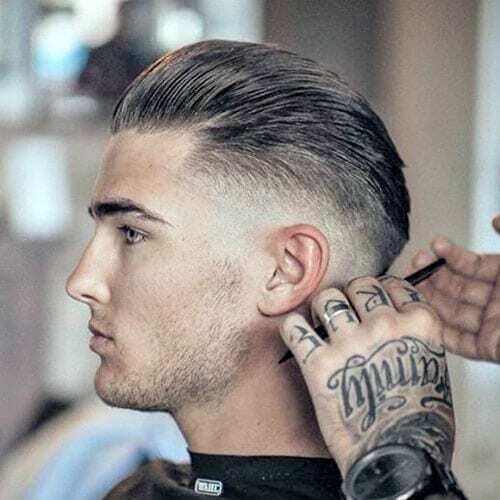 If you don’t want to hit the razor entirely, think about a medium tapered hairstyle. The transition will be discrete, and you will end up with a well-shaped hairstyle to wear on numerous occasions. This is yet another haircut that requires virtually no maintenance at all. Of course, you can add some gel, but it’s not a necessary step for styling. This is great for men on the go that don’t want too much hassle with getting ready. 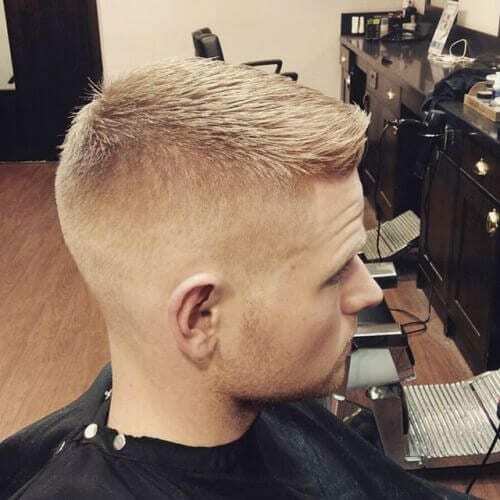 Although quite similar to crew cuts, the high and tight haircut is the military version of the former. 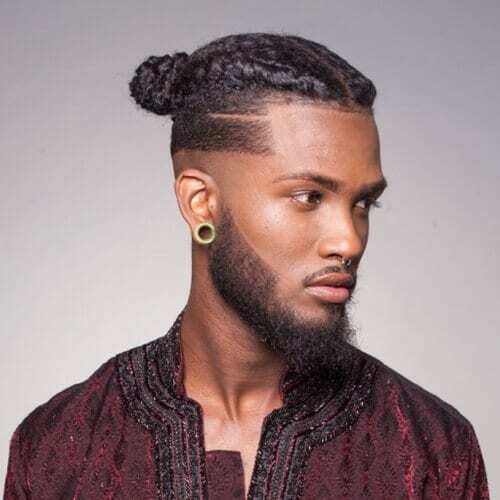 Even though it is commonly sported by those in the field, it is also one of the modern hairstyles for men that you can count on for a respectable look. To show off your youthful side at any age, try a short and playful haircut like this one. Even though it does have a fresh impact, it is still perfectly alright to wear at semi-formal and formal events. You can always go for a buzzcut if you want to maintain the ultimate simplicity. 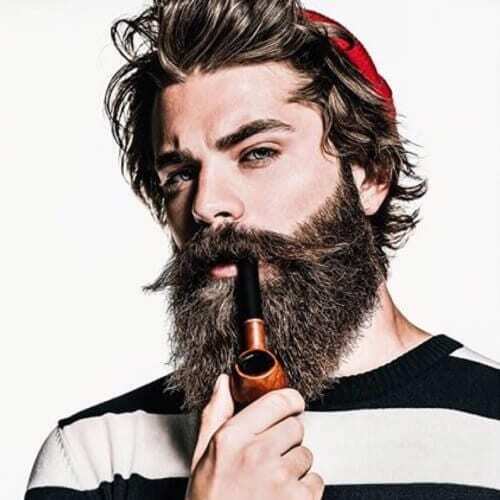 For a modern approach, consider growing a beard or moustache to complete the look. If your hair is naturally afro-textured, don’t be afraid to outline your ringlets. 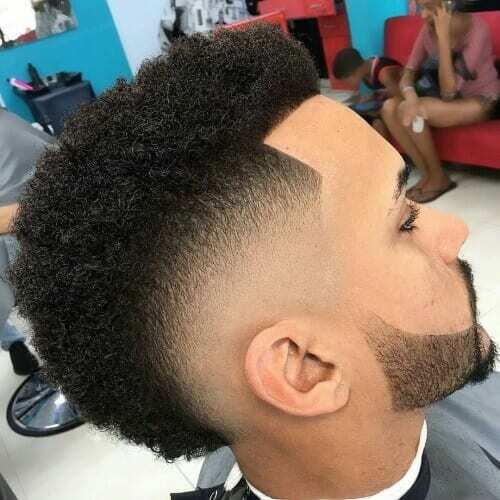 Let your afro grow and get it trimmed in your favorite shape when you want to refresh it. Also, you can pair long locks with a beard and moustache that will make heads turned. Don’t forget – if you plan on keeping your facial hair long, you should style it just like you would with the rest of your hair. This year, it’s all about the flow hairstyle for guys. You may have heard of it as the “bro flow” or “hockey haircut”, but we’re sure you’ll instantly recognize the hairstyle if you see a photo. If your hair is naturally wavy, this is definitely a flattering idea for you. What better way to combine business and pleasure than with a hairstyle that goes well for both? 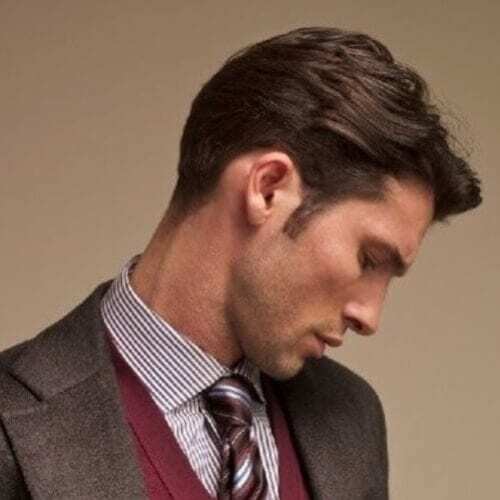 A typical business casual hairstyle is somewhere between a quiff and a regular haircut. It all depends on how you style it, so make sure it’s comfortable, stylish and appropriate. Finally, we want to finish by touching on the charm of the shaggy hairstyle. 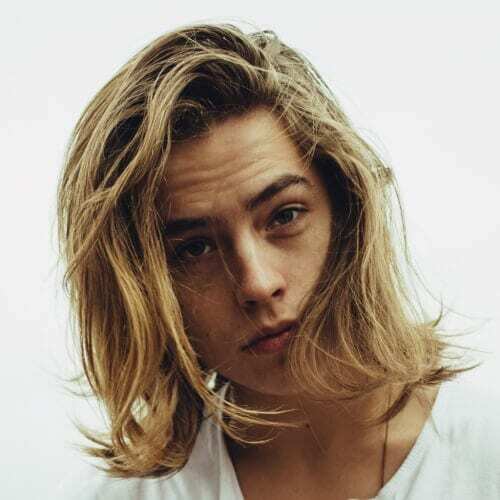 No matter how long or short your hair is, you can rock a shaggy hairstyle that brings out your nonchalant side. 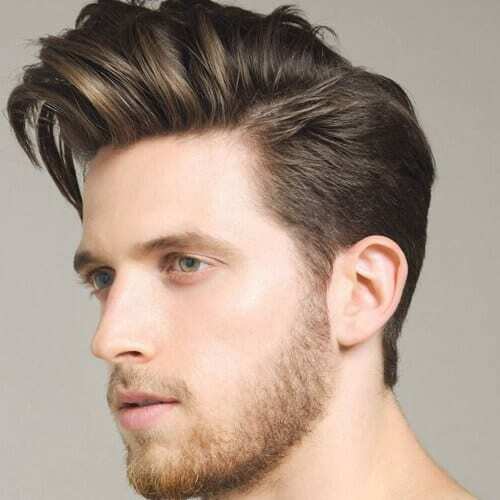 Like the flow hairstyle, it works best for wavy or loosely curly hair. All in all, modern hairstyles for men are undoubtedly the most generous category of haircuts. 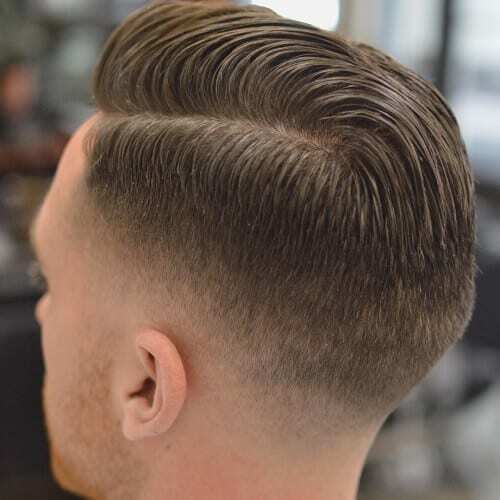 The term modern can range from the coolest haircuts in style today to classy cuts that will always be admired in any situation. Take some time to research the best hairstyle for you, and whether or not you want to match it with a mustache and/or beard.